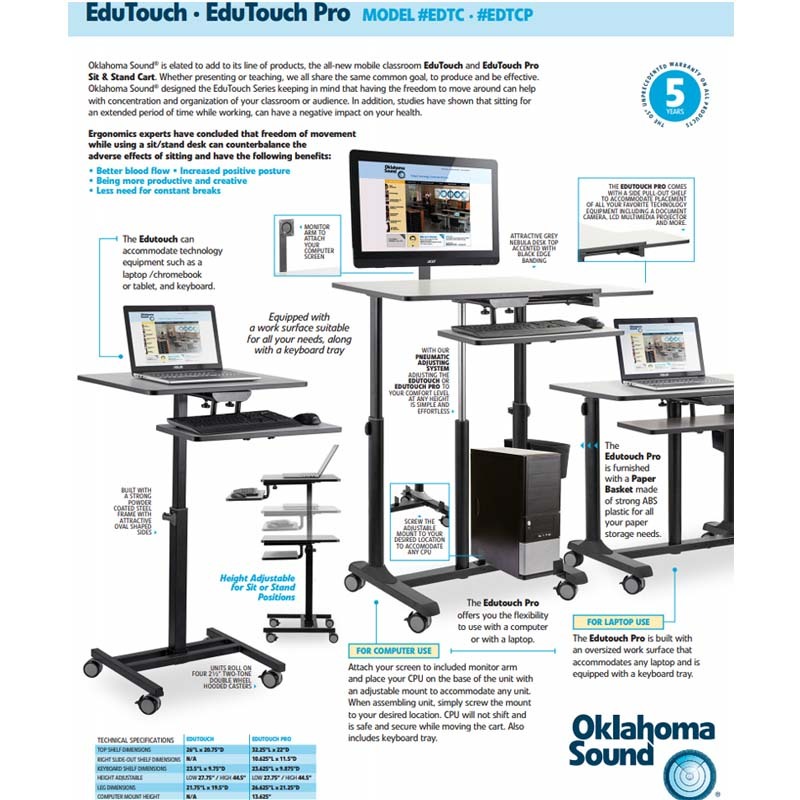 More on the Oklahoma Sound EduTouch Sit and Stand Desk (Black and Grey) EDTC below. Todays classrooms are collaborative environments. 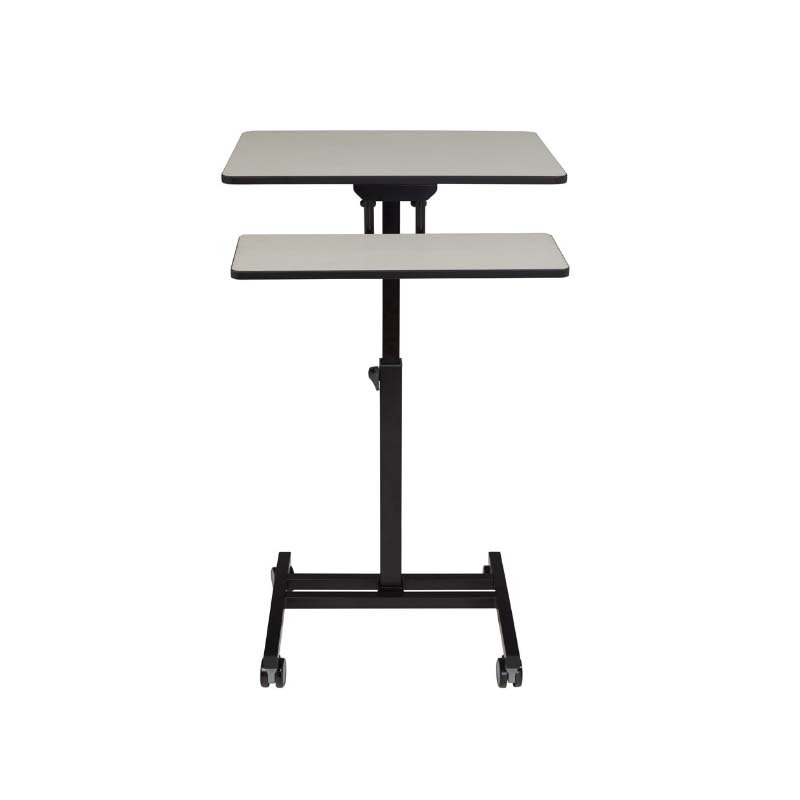 That is why Oklahoma Sound created the Sit and Stand Students Desk. The attractive grey nebula desk top with black edge banding, provides ample work space for all your needs. 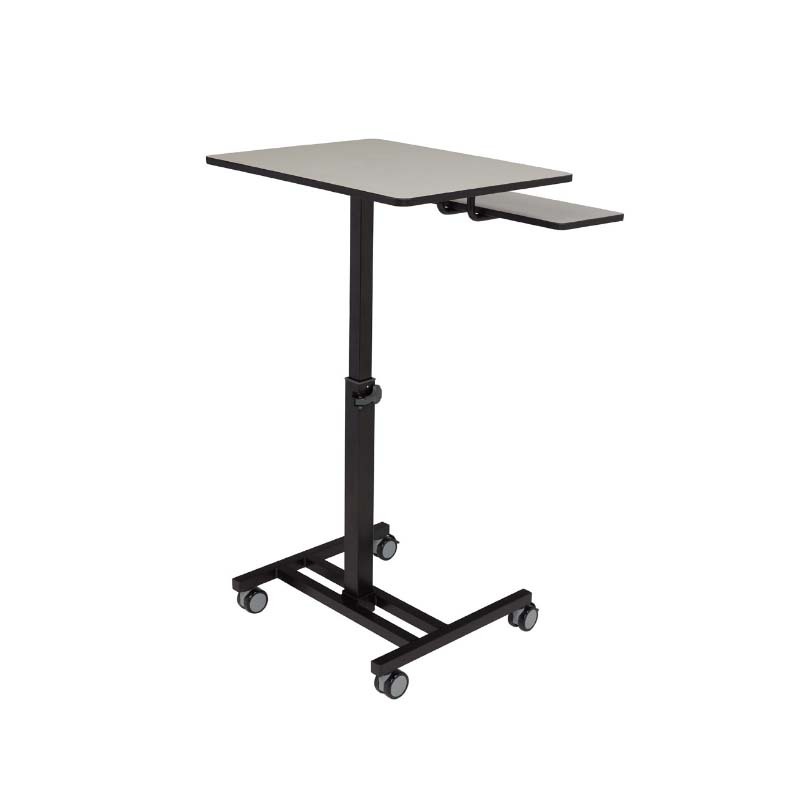 Two inch square support columns along with a comfortable foot stand make for rugged durability. 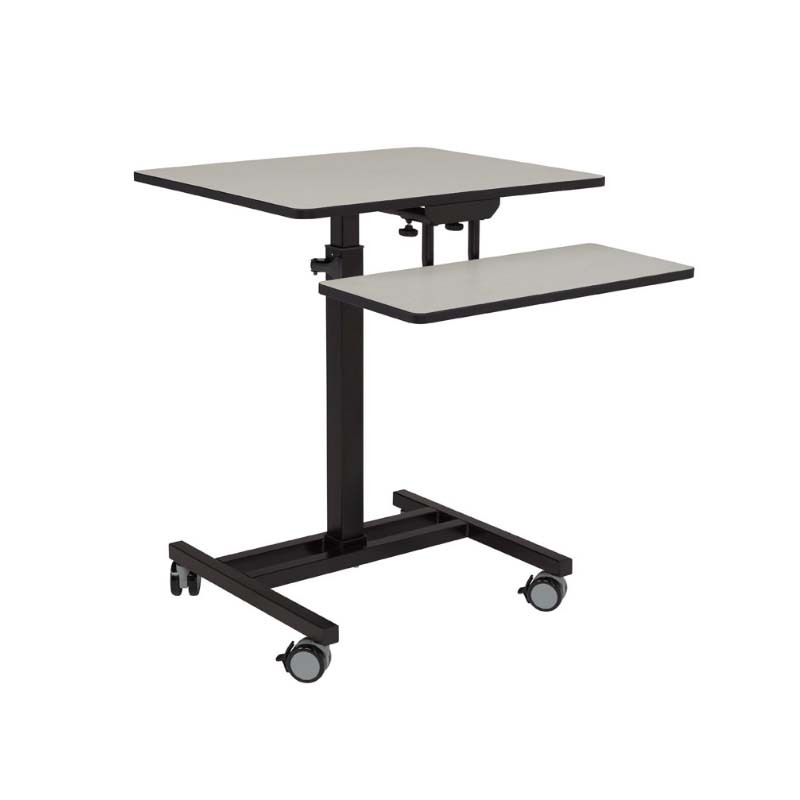 Desk can be assembled with or without the keyboard tray. Want to change positions during class? Its easy and quiet to adjust from 27.75 inches to 44.5 inches through the use of a simple pneumatic lift system. Having the option to choose to sit, stand, and anything in between provides for optimal blood flow and increased positive posture making your day comfortable and productive. 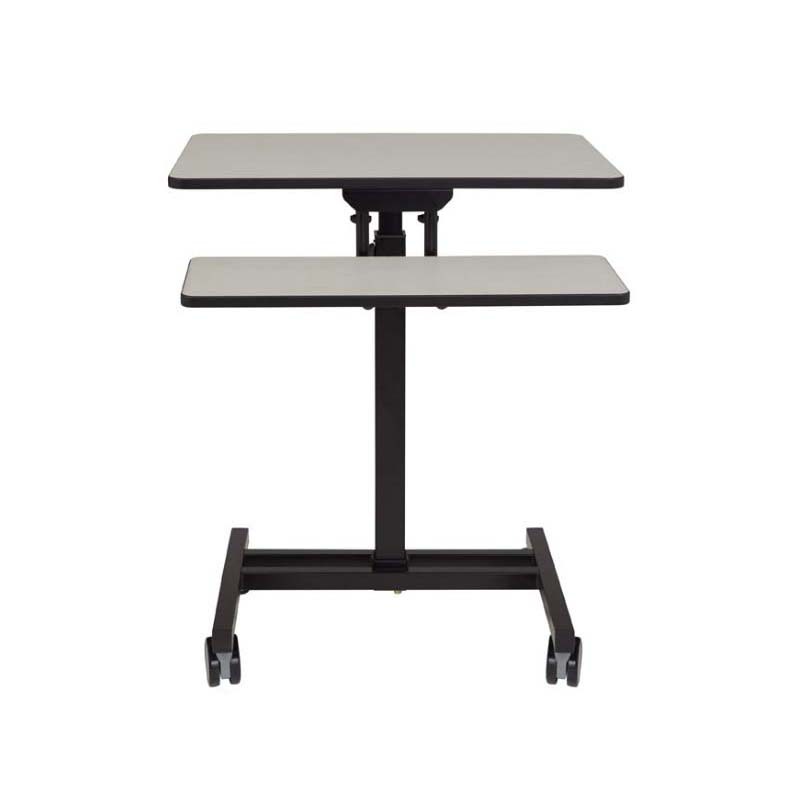 Take this desk with you anywhere you need to be in the classroom as it easily moves with four 2.5 inch two-tone double wheel hooded casters. 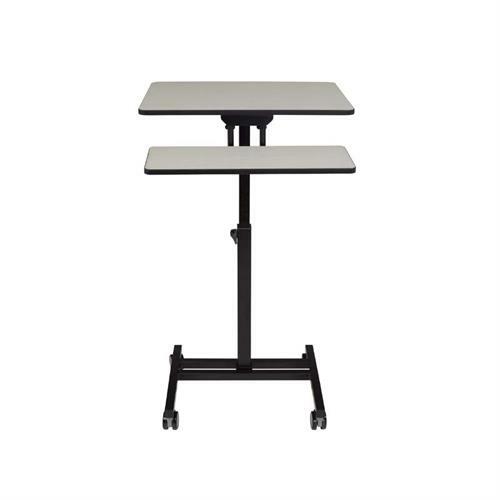 NPS Sit and Stand Students Desk. Its learning on the go! The EduTouch can accommodate technology equipment such as a laptop/Chromebook or tablet, and includes a keyboard tray. Unit rolls on two-tone double wheel hooded casters. 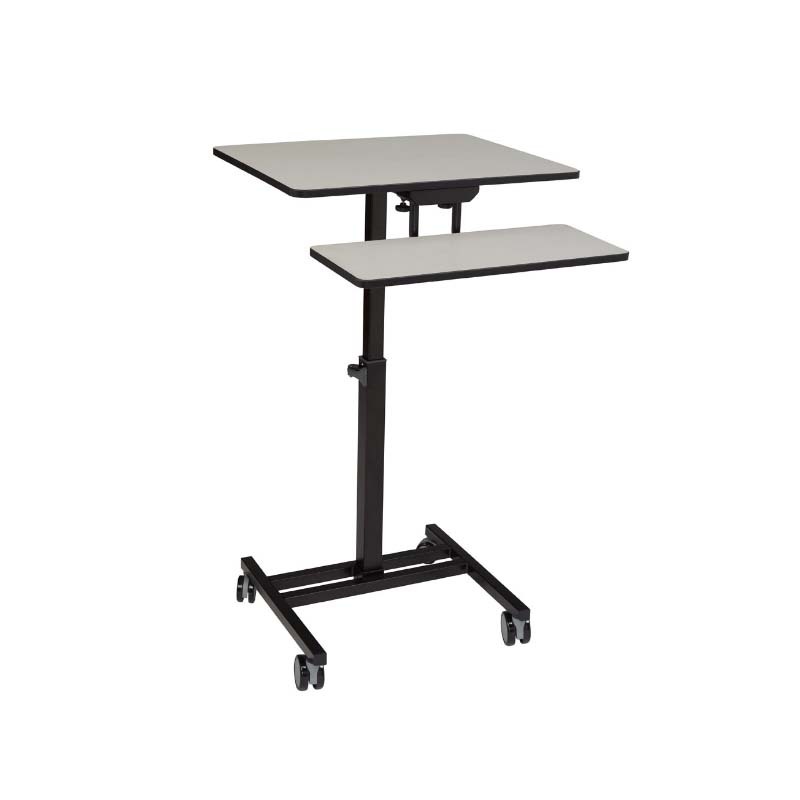 Height Adjustable: Low 27.75 in./ High 44.5 in.